WIN VEGE THREADS ORGANIC YOGA PANTS! Exclusive competition to Cork Leaf e-newsletter subscribers! A must-have staple piece for anyone who practices yoga. 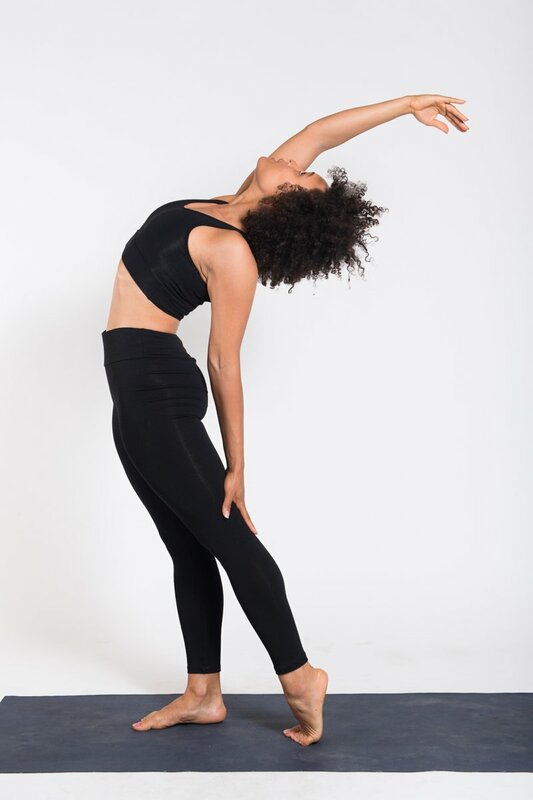 Designed (by Vege Thread) for movement, the Yoga Pant has a high waisted band and extra length in the leg. Made ethically in Australia and valued at $89! Complete the entry form for the chance to WIN! Good luck. Winners will be announced in the next Cork Leaf e-newsletter, which will be sent out on Tuesday 1 May 2018. Winner announced in next Cork Leaf e-newsletter. Terms and Conditions: This competition is open to Australian and New Zealand residents only. Competition commences Tuesday 3 April 2018 and closes 9am AEST Friday 27 April 2018. To enter, entrants must complete the entry form and provide in their first name, surname, and state. Total of one (1) winner will be chosen at random and each will win a Vege Threads organic yoga pant, a colour of the winner's choosing, valued at $89.00. Winner/s will be announced in the next Cork Leaf e-newsletter, which will be sent out on Tuesday 1 May 2018. To claim prize/s the winner/s must hit reply to the Cork Leaf e-newsletter and with their mailing address (no PO address) and size (sizing chart can be found here; https://www.vegethreads.com/products/organic-yoga-pant) within 7 working days of receiving the e-newsletter. In the event of the winner does not make contact, the prize will be forfeited. Cork Leaf reserves the right to alter these terms and conditions at any time. The prize cannot be transferred for cash or other form of monetary compensation.